Sutton Life Centre is a unique, state of the art educational and community facility in South London promoting good citizenshiip, personal safety and the environment. 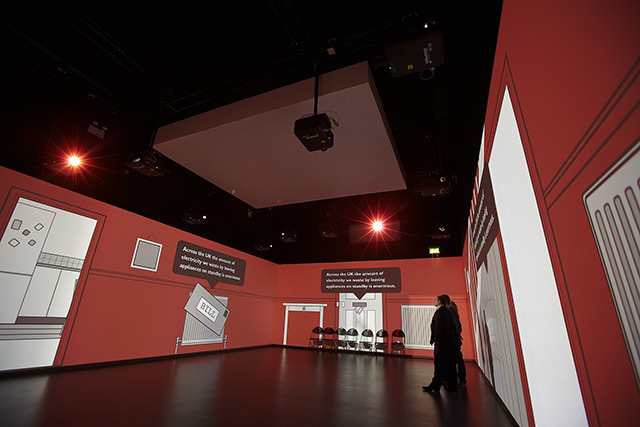 The ‘Life Zone’ is designed as part movie set and part learning experience. Using the very latest interactive cinematic technology and the highest definition video projections delivered by fibre optic, it creates an unequalled picture quality for delivery of media that teaches children about citizenship. The content is relevant and real while allied to the PHSE syllabus. As a result, the children enjoy a high-impact, exciting experience that also makes them think and remember. 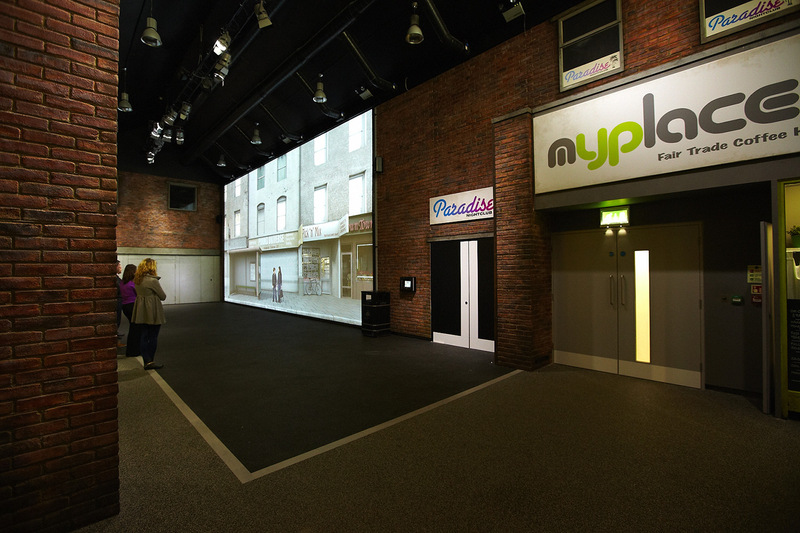 Working closely with Land Design and Studio Simple while using Sysco’s in-house CAD team, pixel accurate layouts of all the projection screens were produced for the 360 degree panoramic cinema room. 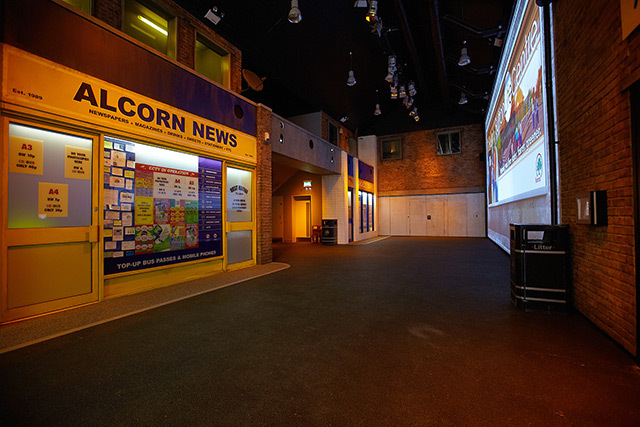 In ‘The Street’ the media is played to an audience positioned just a few metres from the screen, demanding more in terms of media delivery than would be expected in today’s most technologically advanced cinemas. 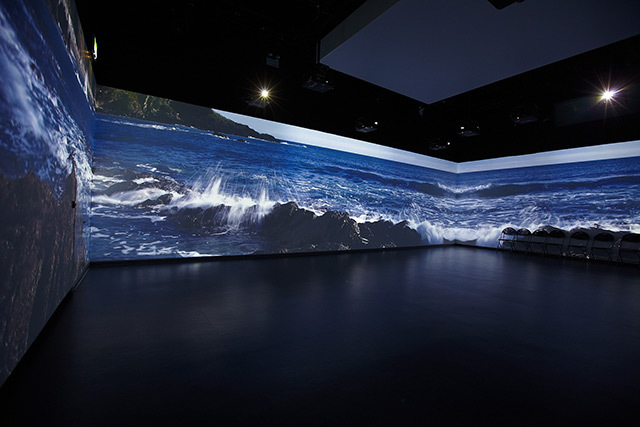 This required six projectors working together with edge-blending to deliver a picture quality with the highest resolution achievable using the hardware currently available. A control was designed that was simple to use but still offered the ability to set up the system in different scenarios to suit the audience. The system has two modes of operation. The day-to-day system is a timed show, which synchronises the playback in each of the areas when a staff member has moved the children into position, so helping to maximise the number of shows that can be delivered each day. 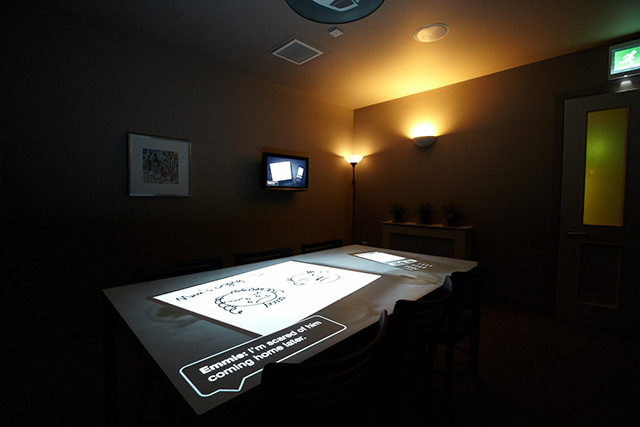 The second mode is corporate, when the Life Zone becomes a local, multi-activity community centre, and the system can be used independently in each area without any synchronisation needs. Winner of the prestigious National Personal Safety Award in 2010 for its contribution towards keeping young people safe. 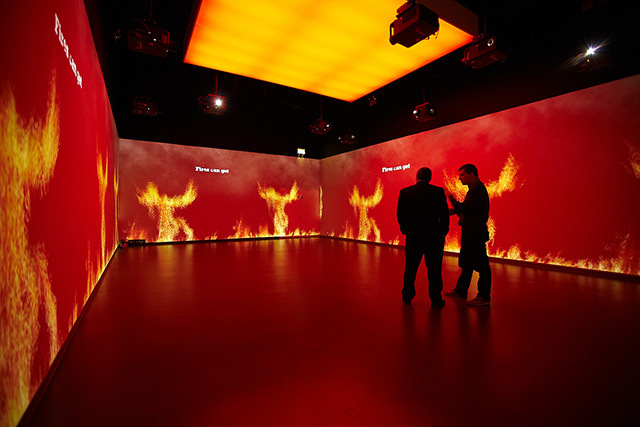 Winner of the IVCA Bronze Award 2011, Experiential Digital Events Category which is recognised internationally as the highest accolade in visual communication.